Human behavior is such that we are always drawn to the newest and shininess of gadgets. Fortunately Lian Li is willing to sate our needs with the new PC-X900 an awesome mid tower case with a tool less design and sweet series of LED fans and slick brushed aluminum aesthetic. All together Lian Li has created a slick looking case, join me while I review the PC-X900 to see if its everything its suppose to be. We test cases in a real world scenario by actually building a system in the case that means full wiring, full system components and real world usage. 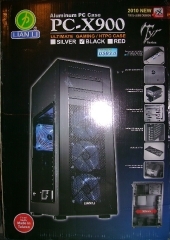 The retail packaging, the case comes in black with blue lights, silver with blue lights, or red with red lights. 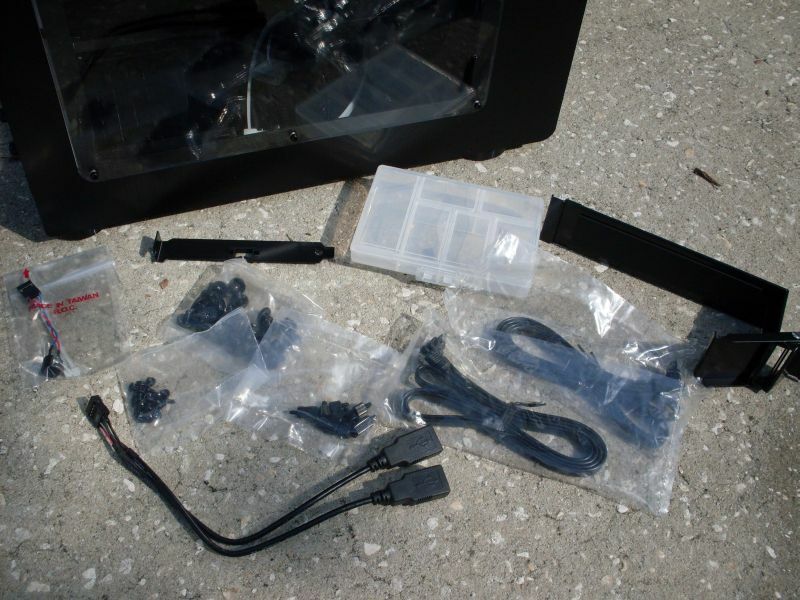 Other components that come with the case which include a cable for connecting the USB 3 ports to the USB header as well as the standard assortment of screws. One other cool thing is a case to hold extra screws which was a nice little extra. The box is pretty much standard for what you would expect for retail packaging. It shows pictures of the case and a listing of specs on the side. 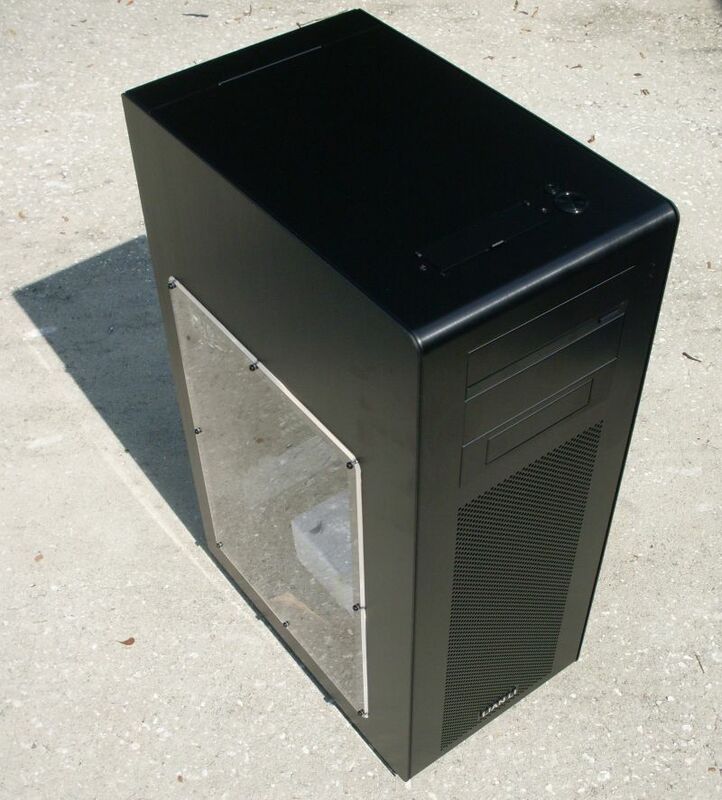 The window on the side is mounted lower on the case so you can see the motherboard and power supply as well as one HDD rack. You may notice on the left hand picture that the top seems larger than the bottom. The space contains the 5.25inch drives as well as another HDD rack, and is cooled by a 120mm fan drawing air out. The back of the case (right) has a single 120mm fan for exhaust the front of the case has three 180mm which pull air in; the resulting airflow should keep the board and components quite cool. 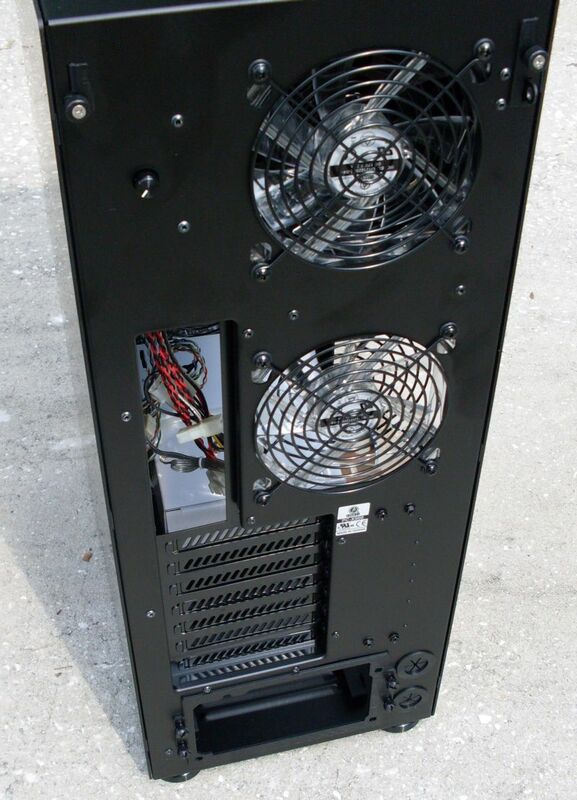 All the internal fans link back to a central fan controller which has the controls mounted on the rear of the case. 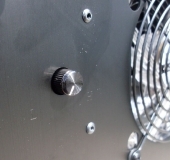 The knob is fairly simple in design; it just increases or decreases the speed of the fans depending which way you turn the knob. 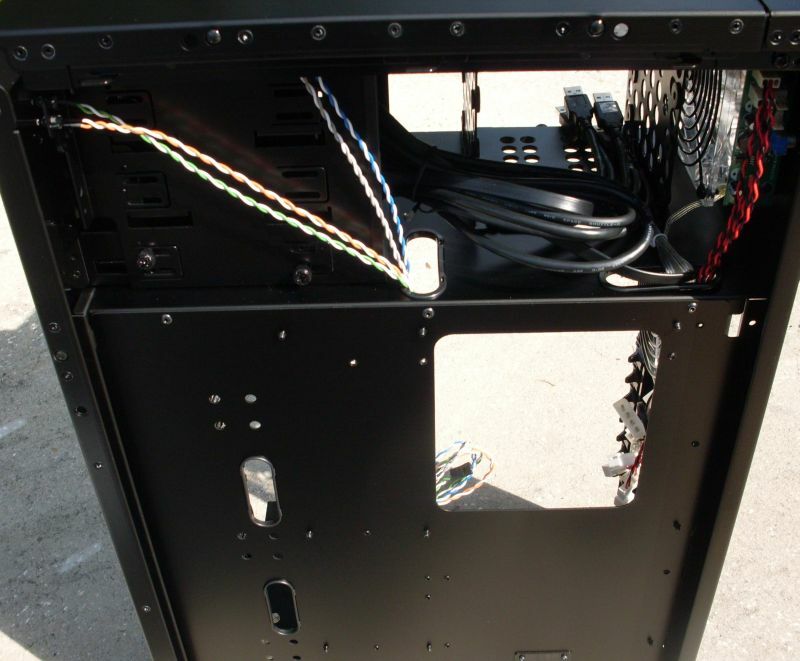 Looking at the back of the case is an opening to modify a CPU cooler as well as ample space to route cables, which will provide a cool and clean interior. The case panels are secured by a rather ingenious clip design that pulls out to release the panels. This clip can also be secured with a thumb screw. 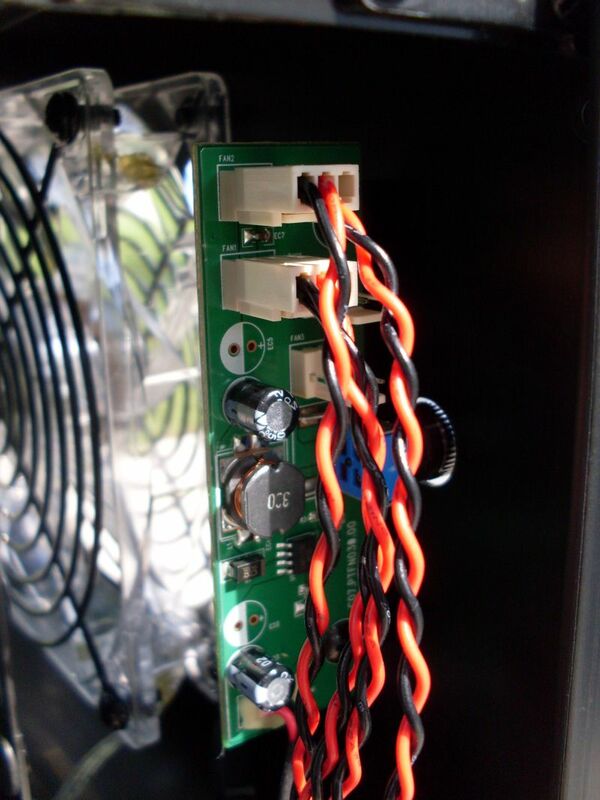 I never saw any issues with shorts, do not see how the standoffs on the mobo or using the thumb screws instead of regular screws would cause a short, nor could i see how an electrical short could result from the use of the power supply mounting bracket, that is very very strange. -I would not call this case perfect either, the bottom hard drive bracket is too close to the power supply, causing cable cramp, and it is also not perforated, whereas the hard drive cage at the top in the upper zone is perforated, which means that your bottom mounted hard drives are not getting properly cooled. 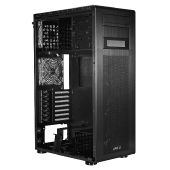 -The area at the top is too hard to work with, getting 8 pin power installed is difficult because there is little clearance with the motherboard and the wall between the upper zone and main zone. -The hole in the motherboard tray for the behind the cpu access is nice too, but….there is no cover, so you just have a huge hole in the motherboard tray. 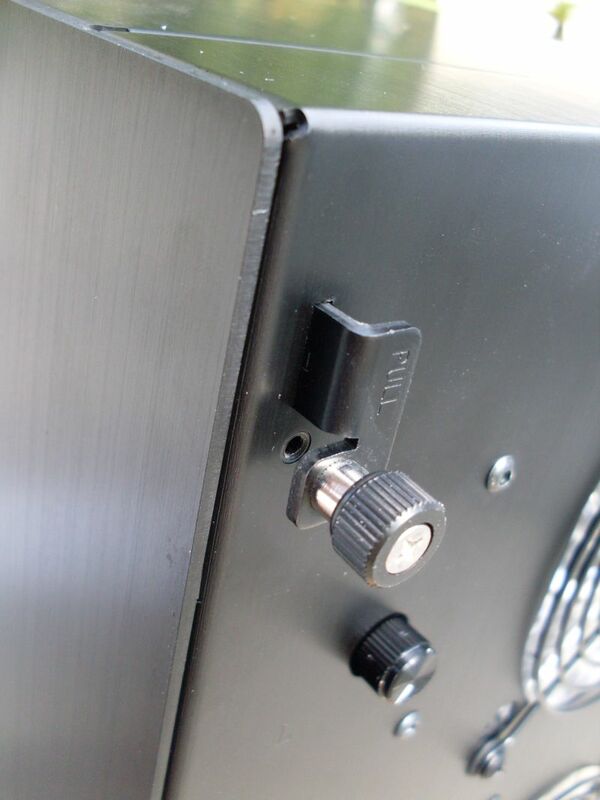 -The cable routing holes are not the best aligned in the world and could be wider to give more room, and there are no rubber grommets to seal them like in the Corsair cases. 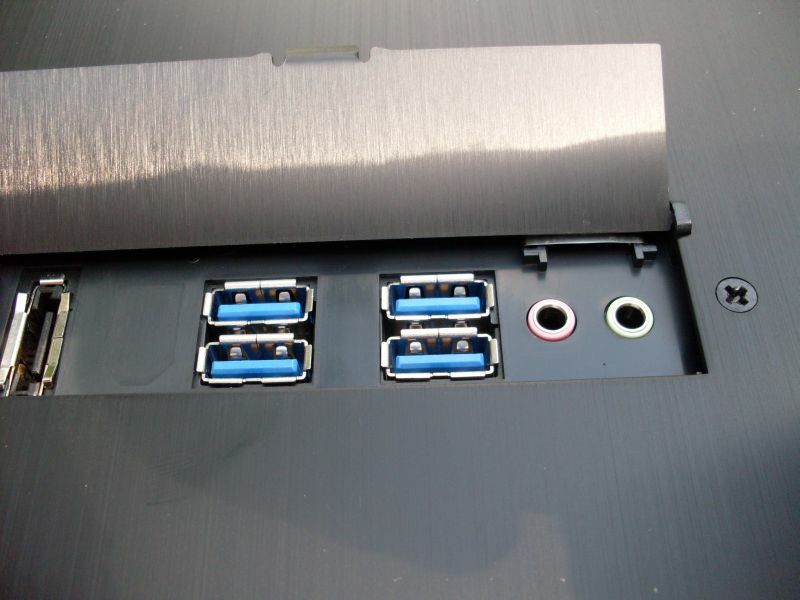 -I know a lot of people use their cases usb/ports clusters, but I usually do not and either way there are a lot of cables to have to store or route, making the area in the upper zone very cluttered with a lot of cable bulk, proving difficult to install multiple 5.25″ bay devices. -The cable routing in the back, while nice, could use a bit more room between it and the case cover, I would say it is not quite deep enough. 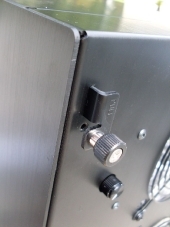 -The supplied tool-less expansion card mounting system is OK, but i found it too hard to use when you wanted to remove/add cards frequently, you have to get the card situated just right to fit under the holder, but fortunately, this is removable. -The case is too expensive. On the plus side, there is great direct cooling right on system components from the three front 120mm fans. I replaced these with more powerful fans as the supplied 120mm fans while silent i found didn’t push enough air. The case is not too loud. I would also liked to have see individual fan controllers as well, not just the one master controller. Sometimes i wonder if these case manufacturers ever work with their own cases to build systems. I never had any problems with electrical shorts either, it must be your houseplug that’s not properly grounded. otherwise your components may be defectice. Nice review, besides talking about issues that has nothing to do with the chassis and by that giving it bad reputation. 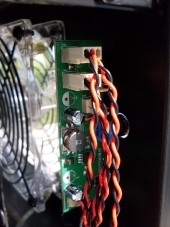 I thoroughly tested this case before post the problem with the electrical short. while this short may not be present in all the cases in production it was present in the model I reviewed. This case was tested using 2 different motherboards, 2 different power supplies and on different circuits. Both motherboards and power supplies that I used to verify that there was indeed an issue are stable boards that are actively in use. I had no problems at all with electical shorts. The included fans were better than I had expected, as well as cooling. The X900 cools as good as my Silverstone FT02, but with less noice. Maybe I got a slight revision of the case, as my bottom harddrive cage has holes for a SSD-drive. 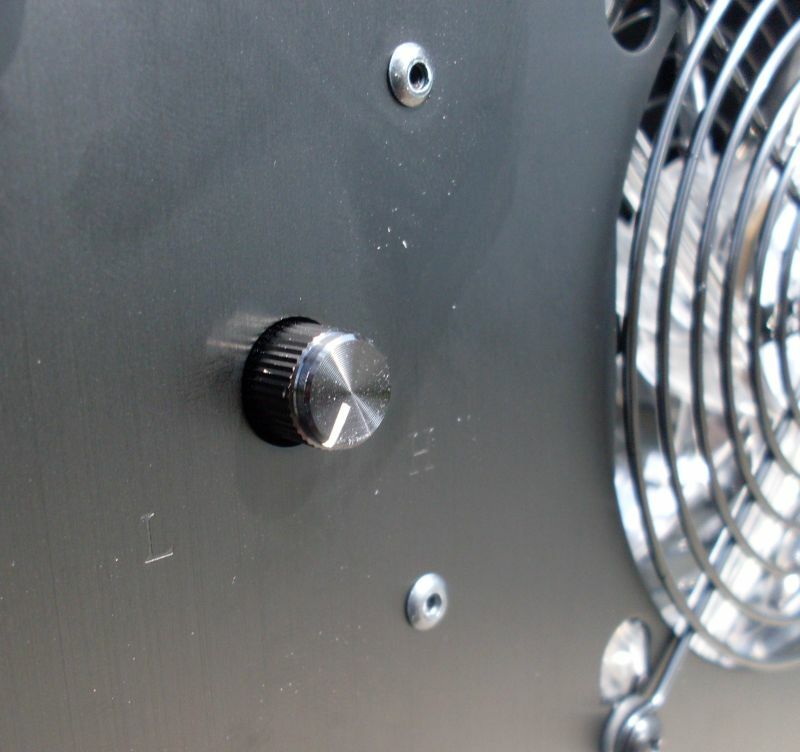 Compared to the X1000, the X900 has reinforced sides, as well as better quality fans. This, along with the nice side-window makes it a good buy. There is always a price for design and quality.